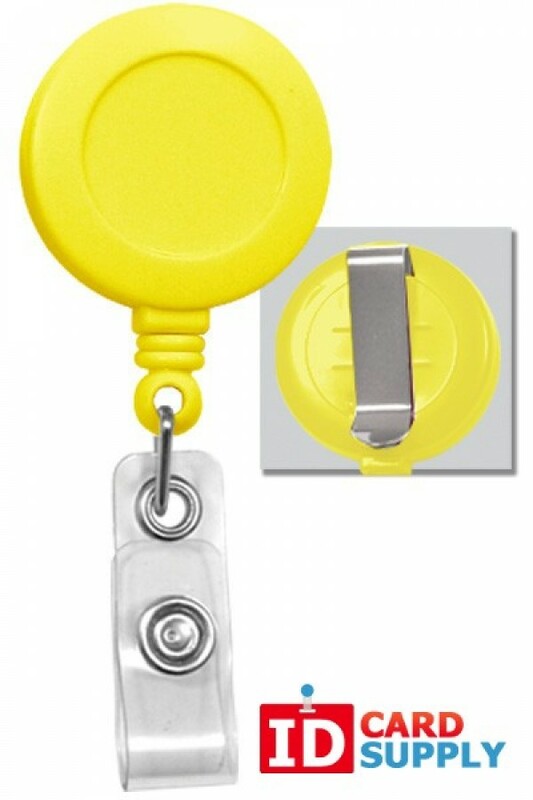 This round badge reel from IDCardSupply is great for carrying your ID card/badge and features a very strong vinyl clip. 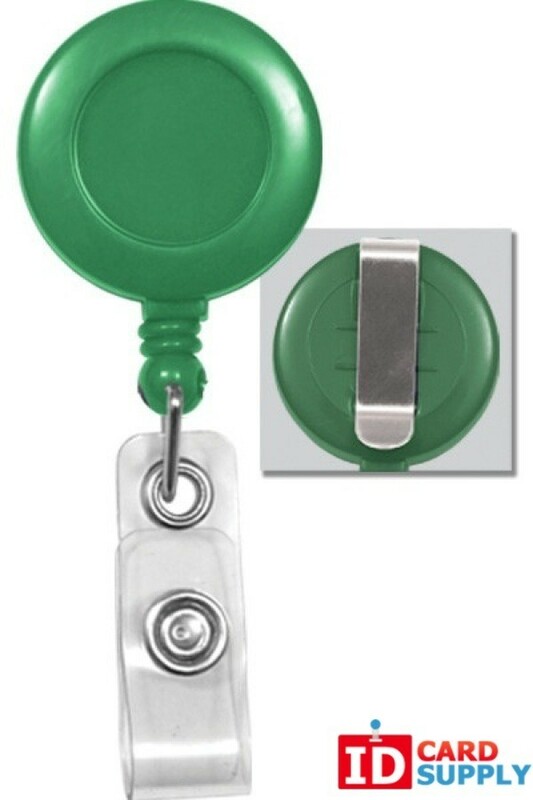 Perfect for those who need to display their ID card/badge for security purposes or for swiping a badge. The spring loaded badge reel ensures that your ID stays with you and conveniently and securely clips onto your belt or pocket. Comes in a variety of colors and matches up nicely with one of our vinyl ID card/badge holders as well.